What Makes “QR Codes”, “2D Barcodes” and “Augmented Reality” so Great for Marketing? How can 2D Barcodes Help Promote Brands and People? Print advertising is lovely on the eyes and still absolutely necessary, but is hardly interactive and worse yet – hard to analyze anything but “impressions”. I hate analyzing impressions – it’s necessary but can be either depressing or confusing unless you have a lot of money and the ability to trust your gut and stick with the decision until the end. Advertising has become more and more interactive online but how can you ever really get that same interaction with a television or print ad? URL links to webpages can be hard to read and/or remember while mobile short codes (text BRATS to 30364) can be time consuming when rushing to your next train or event. With QR Codes, mobile smartphone users are able to easily capture all the information they need – and interact with this information immediately – by taking a picture of the QR Image Code with their mobile phone as they walk by the advertisement and letting the application do the rest. Why not? It can always be saved for later access. Who is the QR Image Code Audience? This year (2009), 89% of new mobile phones shipped to the U.S. will have cameras, according to InfoTrends/CAP Ventures. Jagtag CEO Dudley Fitzpatrick envisions. Morgan Stanlely recently published great research on July 10th, 2009 about How Teenagers Consume Media and even though it was written by a European 15 year old, i feel it is also a great representation of the US teen also. They resent intrusive advertising on billboards, TV and the Internet. They are happy to chase content and music across platforms and devices (iPods, mobiles, streaming sites). Print media (newspapers, directories) are viewed as irrelevant but events (cinema, concerts etc.) remain popular and one of the few beneficiaries of payment. The convergence of gaming, TV, mobile and Internet is accelerating with huge implications for pay-TV. For mobiles, price is key … Mid-range feature phones still dominate … High-end smartphones are desirable but too expensive … Texting is still key and use of new data services limited due to cost. 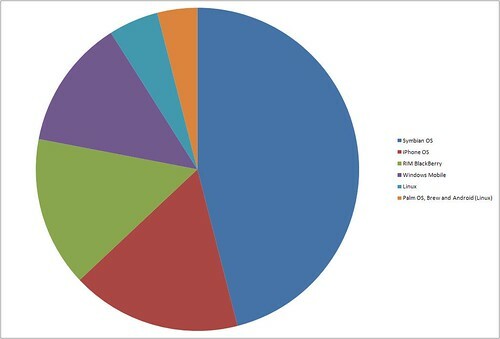 Wi-Fi is more popular than 3G. I probably don’t need to go on after such strong statements, but there is still so much potential with QR Codes and communication is key. What appears to be the scariest part for marketers is the different comparison of platforms and functionality: http://en.wikipedia.org/wiki/Mobile_development. Most who have tried to find their way around a town that speaks a different language will tell you that it is hard to find your way around. Some will tell you they don’t mind – but most won’t. Analysts and Jagtag competitors agree that for 2-D barcodes to gain any meaningful traction, the code reader must come preloaded on cellphones — and only the wireless carriers can make happen, as they dictate the specs to handset makers. The campaign netted a 52% redemption rate with about 4,000 scans, roughly 1% of the total target student population. * Android  promoted by Open Handset Alliance and licensed by Google (Released 22 Oct 2008) The Open Handset Alliance’s Android is a recent smart phone addition touted by Google and T-Mobile (which launched the G1 phone on October 22, 2008). The OHA hopes Android will gain 4% market share by year’s end. What are the Different Types of 2D Barcodes? According to Wikipedia and Kaywa who created the below graphic, there are four types of 2D Barcodes: QR-Code and Datamatrix, Maxi Code & PDF 417. From my research, these are the most popular and have the furthest reach, but host the most limitations and vulnerability. However, according to http://www.adams1.com/stack.html there are many more variations. Further research continues to find new variations everyday like the unique QR Code used by Doritos below. Recently Gizmodo published an online article which describes the newest barcode titled The Barcode Update You Never Asked For, But Still Need. As this video describes in more detail, the code is about the size of a small dot and basically is comprised of multiple, micro-inscribed datamatrix codes that an out of focus camera can capture and read. The ability to inscribe and utilize multiple datamatrixx codes as a small dot definitely opens up more possibilities and is prettier on the eyes, but the need for a regular, out-of-focus camera will produce some limitations. Again, it seems like the possibilities are endless and the the deeper I swim the bigger the ocean seems. Even Louis Vuitton has his own designer 2D Barcode! What is the Standard 2D Barcode Size? According to Microsoft, 1.25 x 125 is standard size for datamatrix and qr codes. What are the Different QR Readers? QR Code Readers are mobile applications (usually down-loadable right from your mobile device) which allow your smart-phone’s camera to capture and utilize the 2D Barcode to take you on an interactive journey with the brand. Unfortunately it appears different readers read different code, so you may want to read this article first from 2d Code -> QR code and two dimensional bar codes, news, views and analysis at http://2d-code.co.uk/qr-code-readers/ or Mobile-Barcodes.com at http://www.mobile-barcodes.com/qr-code-software/. Recently, I have been using ixMAT on my G1 Android for it’s ability to also scan regular, 1D barcodes and compare product prices on the internet. Unfortunately, Microsoft Tag‘s reader is not yet available for the G1 Android. If you’re really talented the design of QR makes it possible to incorporate eye-catching images of logos, characters, or photos into QR code, without losing any information of the code. Although semi-dependedant on a variable of phones, developers can help develop SDK’s and control even more possibilities. According to Wikipedia, Augmented Reality is defined as the following. Augmented Reality is a field of computer research which deals with the combination of real-world and computer-generated data (virtual reality), where computer graphics objects are blended into real footage in real time. I feel it is imperative to understand what Augmented Reality is and why we, as a techno-global community, need to embrace the possibilities. Through deductive reasoning I’ve been able to conclude the following about Augmented Reality by Example. The more adventurous brands have been using QR Codes to produce Augmented Reality in the form of “bonus” content. Goodby, Silverstein and Partners recently produced a campaign for Doritos new flavor, Late Night Taco with Blink 182 and Big Boi. Using a QR Code on the back of a Doritos bag a user could “Augment Reality” and gain access to bonus content. How is AR used with QR Codes? 2.5 Update to Flash 10. 4. Choose to interact with Blink 182 or Big Boi. 5. Read the on screen directions since this is a new experience. 6. Hold the bag in front of the webcam until you find the sweet spot. …It’s Another Way to Capture My Contact Information!! Mwuahaha those “clever marketers”. Just like those innovative Doritos Collisions which features two Doritos flavors in one bag – they know the delicious combinations I like. Many more people have a webcam and know how to use it better than a QR Code reader they have to install on their phone (40% of Facebook Videos are Webcam Uploads), but it can still be a tough crowd and I wonder how patient people will be with the technology if abused. Check out my failed attempt at Doritos Late Night Augmented Reality Experience. I’m just giving Doritos a hard time I love the overall contribution you’re trying to create for your Doritos fans (me) who also likes rap music (me) or rock music (me), reviewing digital (me) interactive (me) marketing (me) online (me) campaign (me) websites (me) and entering sweepstakes (me) to win (me) free stuff (me) 😉 You shot me 11 times, Doritos. 12 if you count the behind-the-scenes Blink 182 videos about how Doritos filmed the “Augmented” Blink 182 Experience on Youtube. Some are starting to say that Augmented Reality has already “jumped the shark”. In their defense, if virtual magicians have already started using AR in their acts, it’s a pretty good sign. How can I create AR? There are probably a lot of different ways actually and the development can get pretty intense the more complicated you try to make things. I’ve always agree that you have to learn how to walk before you think about running, so the best, most useful form I’ve found would be to create your own Augmented Reality Buisiness card. Created by Jonas Jäger at Toxin Labs, has created a very informative video and website that shows How to create an Augmented Reality Business card (XML File). There are plans to release an Augmented Reality Source Download soon. The author creates a presentation, using a frontend tool (a download version is in development at the moment). He can import various media like images, video clips and 3D-models. The application exports this presentation as a XML file. This XML file is uploaded to a webserver, together with all the necessary assets. From the URL of the XML presentation you generate a QR-Code. 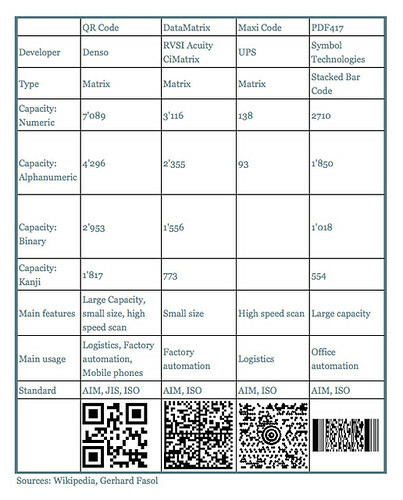 This unique QR-Code will lead the flash application to the right presentation, so that the application itself can stay the same and can be used by everyone…nobody has to compile his own version of the application to share his augmented business card. Now you print the QR-Code on the back side of your business card, together with the AR-marker. The person who you gave your card to can now start the application on a website (since it is developed in flash you can run it in any browser) or download it to his computer as an executable file. The application could also be converted to an AIR-Application. The application was developed using FLARtoolkit, Papervision 3D, FLARmanager and the Ribbit API. There was no CGI or postprocessing involved and the real application is shown in the video clip above. The source-code will be released under the Creative Commons license. Where can I Create a 2D Barcode to Promote ME?! The simplest, easiest approach would be to google and use the most popular QR Code or 2D Barcode Generator. Basic but can save as a pdf. Very fast loading barcode. Foreign language versions available in Español, Português and Italiano. One size but generates a QR Code and a Datamarix Code simultaniously. One size and will do only a partial VCARD format. Unfortunately Snappr was shut down on October 23rd 2009. For most average users looking for more, Snappr.net has recently released their public beta version which gives a lot more options. Unlike Microsoft Tag (explained in Advanced), I do not foresee Snappr becoming a paid service. When you use Snappr.net you can get product details, ratings and more immediately and decide if you should buy a product or not. Additionally you can see what you would pay for this product at internet-sites like Amazon, Shopzilla and others. The best price and the most recent reviews are now really only one quick look away!If you are looking for information to a specific product just browse to http://snappr.mobi from your mobile device and enter the complete barcode-number into the search field. Snappr then finds all the information for this product and presents it to you, perfectly tailored for your device. Super geeky and super cool, this video will teach you how to create your own, personal 2d barcode and download the pdf so you can have the file on hand to use in all your flyers from the Snappr website. Additionally, after you create an account at http://Snappr.net you can easily store and access all of your favorite 2D barcode history from your Snappr account – just log in with your mobile device and snapp some Codes at snappr.mobi to create your code history. Snappr is also currently testing professional accounts in a closed beta roll-out. There is also a Campaign Feature that is only available for users with a pro account. Custom Microsoft Tag claims to be the next evolution of machine readable codes, where “branding and design can be incorporated directly into the barcode itself.” Basically, Microsoft has foreseen the potential and it’s limitations, and sought out a team of developers to come up with a better solution to dominate an untapped market. Ingenius(?) Their solution became Microsoft tag, a 2D customizable barcode strategy. The sophisticated technology powering Microsoft Tag High Capacity Color Barcodes (HCCBs), was invented by Microsoft Research (I believe to be lead by the Director of Engineering, Gavin Jancke). Since it is Microsoft I feel confident it will both do ok and turn into a paid model. However, the Microsoft Tag reader is still not available on a lot of popular smartphones (like my G1 Android). 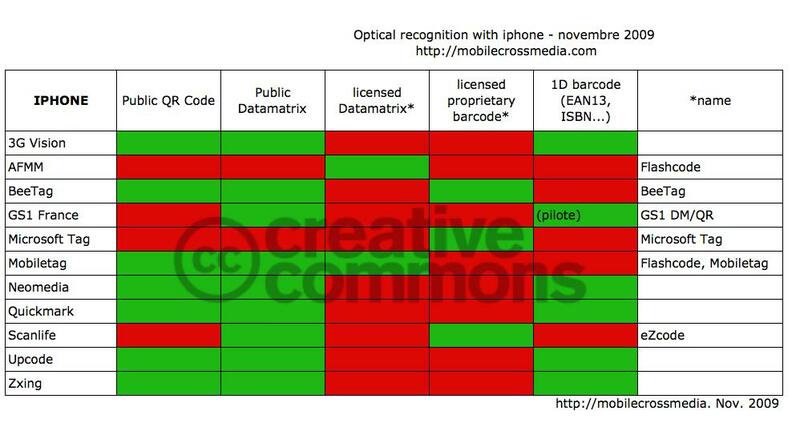 Apple where are your QR codes? 🙁 Nonetheless, Microsoft Tag is no doubt a cooler alternative to the boring black and white QR Image. During the beta period, commercial use of Microsoft Tag, including generating, using, and receiving consumer analytics data will be provided at no cost. We entered our Beta phase on January 7, 2009. We will learn and make updates to the solution based on customer feedback and our insights. If we decide to charge for some uses of Microsoft Tag, any Tags that are already in use will continue to work for at least two more years. Another important note is Microsoft Tag’s Publisher Guidelines and most specfically, “Provide instructions for downloading the reader along with the Tag”. With traditional 2D Barcodes, you have to accept the industrial look of the code on your materials. With Microsoft Custom Tags the code can be integrated into the look and form of the messaging itself. Plus, all existing mobile Tag Readers are able to scan and decode these codes which is great, but be careful – you don’t want to confuse your audience into thinking that it’s something unusual like “art”. Since the whole QR Code medium is still so new, I feel it will be most effective to hold your audience’s hand during the learning process and stick to the basics. The more they see it as “art” – the less your audience will understand what an interactive QR Code is really capable of. However, any experienced marketer will tell you that the best news is in the analytics, and Microsoft Tag tracks these numbers. In the Report Center you can begin tracking the performance of your categories and tags by generating reports in all directions to help compare the total number of daily scans for different tags in different categories. A more recent alternative I’ve come across is QReateBuzz, a European .co.uk company that claims to be a full service solution for the realization of mobile marketing campaigns using QR Codes. The online application consists of a QR Code generator, a management tool for the codes and an analytics software for the measurement of the reach and success of campaigns. I love conversations, especially about stuff like this. If you need a second opinion or some further advice you can always feel free to contact me for free a free consultation. USA Today’s article New ‘2D barcodes’ puts info at the tip of your camera phone describes how Sears, in conjuction with vendor ScanBuy, became the first U.S. retailer to begin a public trial in December, 2007. Check out some examples by ScanLife of brand’s using 2D Barcodes and their respective interactive 2D Barcode campaigns yourself at http://www.scanlife.com/us/examples.html. Every big agency will tell you “they do mobile” and the reality is that one way or another, they’ve probably had more experience than you … outsourcing to free-lancers and smaller, niche agencies. Goodby, Silverstein & Partners created the Blink 182 & Big Boi “Late Night Taco” Augmented Reality described above, but they are not the only ones dabbling with QR Codes. Below is just a sample list of some of the different 2D Barcode campaigns taking place around the world. Campaign: Late Night Tacos had a 2D Barcode on each back that when accessed online, used augmented reality to show a virtual concert of Big Boi or Blink 182, in addition to exclusive content and a chance to see Blink 182 play live in concert. Campaign: EZcodes (2D barcodes) on bus shelters and kiosks which linked to mobile audio tours for that specific neighborhood. Campaign: An interoperable 2D (two-dimensional) barcode system for Orange, Telefónica Móviles, and Vodafone, who together provide wireless services to 98 percent of Spain. Campaign: 3D interactive mobile marketing campaign for its new Ford Ka model. Campaign: The Nestle Alien campaign mobilizes from one location to the other, scanning 2D codes on billboards, in print and on TV, for a chance to win P.100,000 cash and prizes. Campaign: The ads offer a shortcode to text in to in order to receive a link to download a QR Code reader application. The consumer then captures the QR Code using the app, and receives a link which routes them via the Eyeblaster server to the official Volvo Ocean Race mobile site. There, they were presented with live updates, race news and images illustrating how the race, which finished at the end of June, was progressing. Campaign: Large QR Codes made from Lego bricks were put on display with the codes resolving to the toy store’s Lego brick boxes and order pages. Lukas Lindemann Rosinski just won an award at the 2009 Cannes Lions International Advertising Festival with their interactive direct campaign for Germany’s biggest online toy store. Not every brand needs an over-the-top QR Marketing campaign since the tecnology is so new, just having a 2D Barcode will make your brand appear innovative. With a list that includes E! Online and Access Hollywood among others, check out all of these well-known “entertainment” and/or “news” magazines who are using simple QR Codes as an informative resource. Why should I use 2D Barcodes? 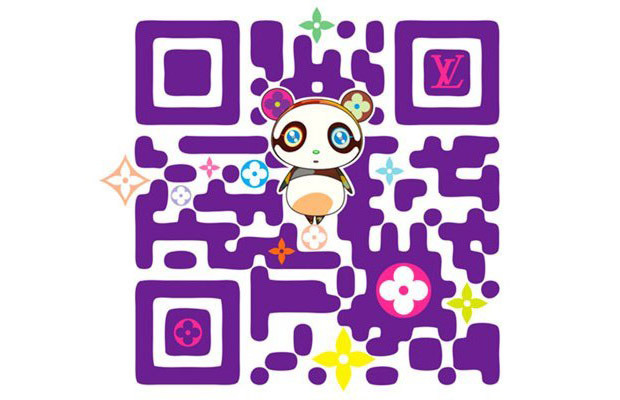 Unfortunately the North American market for QR Codes is wide open with new competition continuing to develop their own proprietary QR Codes and Readers every day, further complicating the industrial advancement. Still, it’s coming soon (if not here already). I’m happy to report Fast Company has reported that Layar: Augmented Reality Arriving for Android Phones, iPhone Soon. It was in Japan back in 2002, that the method of accesing the mobile internet changed dramatically. Network operators started distributing mobile phones with a 2D barcode reader, that allowed the user to scan a URL encoded intoa 2D barcode and instantly launch to the mobile internet. 3GVision (flagship product i-nigma) was a major factor in this mobile revolution, providing the imaging technology to make this process a reality. Since then, mobile web access by scanning QR codes has contributed significantly to the success of mobile data services and revenues. 3GVision’s reader is now installed on more than 80% of Japanese handsets, becoming the de-facto standard for mobile code reading. I also predict it’s going to be harder to take a picture of this barcode without stopping and ensure you took a picture straight enough to read the 2D barcode. As I’ve witnessed personally from the Doritos Late Night Tacos campaign, it can be just as hard to understand what you’re supposed to do as it is to get the webcam to read the barcode! Keep it simple, Keep it simple, Don’t overdue it. At this stage of the game – less is more. Definitely use a mobile webpage to display your QR Code content since every single person will be first accessing this content via their phone. If you’re a WordPress user, I’ve recently highlighted the four The Best WordPress Plugins to Make Your Blog Mobile-Friendly. General Guidelines: Strong reflections or shadows on a Tag will reduce scanning performance. If possible avoid scenarios where bright reflections or sharp shadows fall across the tag. Use Behind Glass: Tags will normally be readable when displayed behind glass, as in the window of a store, or behind a display face. However, try to avoid situations where direct sunlight or bright lighting causes strong reflections on the glass. Vertical Display: Displaying tags vertically reduces the possibility of the camera phone itself displaying a shadow across the tag. This is most important when there is very bright overhead lighting. Adequate Lighting: Tags will be hard to read in dark conditions such as a nightclub or candlelit restaurant. Minimum Size: Normal 5 line Tags must be printed or displayed at a size of at least 3/4″ x 3/4″. Black and White Tags must be printed at least 7/8″ x 7/8″. Minimum size includes the white space around the Tag. These minimum sizes have proven to work well with the entire range of camera phones despite being able to work at much smaller sizes on phones with better lenses. Size Recommendations: When camera phones can not get close to your Tag, such as on a billboard, you must print Tags at a larger size. A general rule of thumb is for the width and height of a Tag to be at least 1” for every 1’ that a user must stand away from the tag. Display Recommendations: On a display, the Tag should be at least 54 pixels across. When will there be More 2D Barcode Help Available? Do you have time to review more links now? If not, Contact Me and I’ll try to help you find the answer to something in particular. HOW CAN I CHECK IF MY QR CODE IS WORKING? Why QR Codes Will Be Big Business in the U.S. There are quite a few Presentations and Slides in reference to QR Codes and/or 2D Barcodes on Slideshare. Searching 2D Barcode in Slideshare pulled up 164 presentations in English. What’s the Power behind 2D Barcodes? Are they the Foundation of the Revival of Print Media? Other than the lovely QR code, I found the EZcode from the ScanLife seems to be making big commercial moves with the operators, brands, and handset manufacturers. According to ScanLife the EZcode is more size-efficient than the DM and QR. I wonder if the EZcode is quietly and surely taking up the market share? Is there any 2D barcode market share numbers out there to give us a better sense of the moves from different fronts (codes)? In the late 1990's Dave worked with Digital Convergence Corporation to invent and develop cuecat (trademarked :CueCat) which was a cat-shaped handheld barcode reader. In late 2000, advertisements, special web editions and editorial content containing CueCat barcodes appeared for more than a year in many high-circulation U.S. mass-market periodicals, notably Parade magazine, Forbes magazine and Wired magazine. Other favorite commercial publications such as AdWeek, BrandWeek and MediaWeek also employed the technology. Unfortunately the CueCat in its initial concept has been considered a commercial failure, although the technology invented by the company in 1998 and deployed on September 11, 2000 is considered to be the forerunner to many popular barcode scanning, photo recognition, and manual barcode input apps that are now employed on smart phone technology. These were made common ten years after the launch of the CueCat by the Windows Mobile platform, iPhone, Android and Blackberry smart phones. The dream was to connect items in the physical world to the Internet, automatically. In January that dream hit a bump in the road and the servers were taken offline. They will scan again… If you have a Cue Cat, save it. The patents and technology created by Digital Convergence will again be available for business and consumer use. Currently the website contains information about the device, its history and information on the company licensing the resulting intellectual property which numbers more than 110 granted US patents. and apps for smart phones like iPhone and Android and many more! Here is a website which offer free QR Code java barcode generator which can run on any operating system and create and print high-quality barcode.